It's been a while since a "new stuff" post and we've been busy adding nothing but the best stuff for your Beta! We're constantly on the lookout for new and cool stuff to better serve you and your Italian Princess! 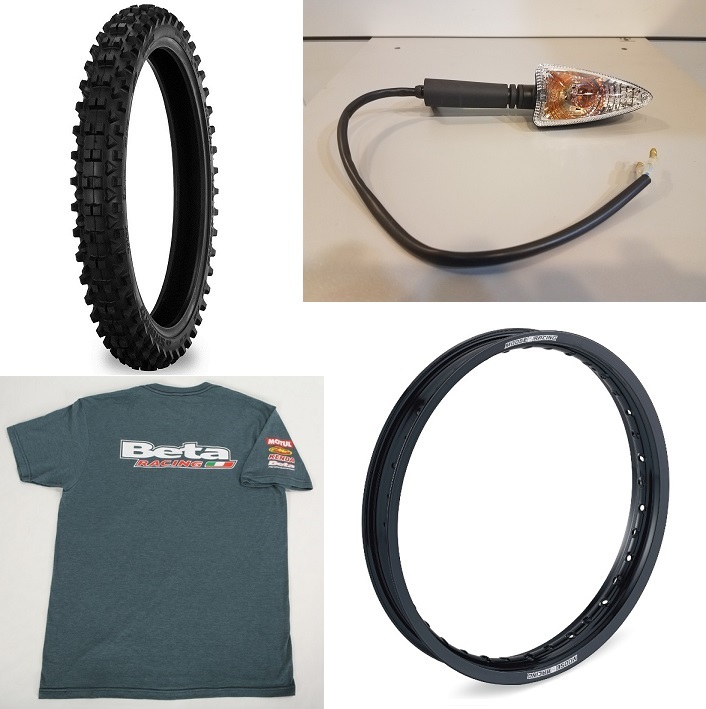 Here's a selection; a new Beta t-shirt, 2018 top end kits and clutch parts, new stuff from Moose Racing, Beta turn signals, the new Shinko MX216 "Fatty" for those that loved the Golden Tyre Fatty front tire, the full line of Galfer pads and rotors, and Couteract Ready-Balance tubes for more traction in the dirt and smooth riding on the road!